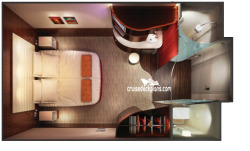 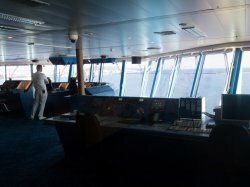 Room with large window looking out over the ships bridge. 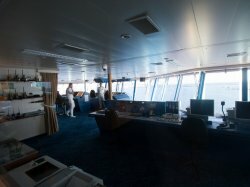 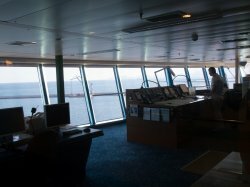 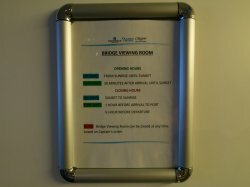 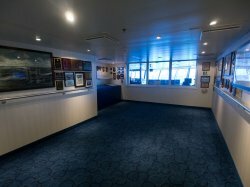 The room is usually open during daytime hours and while the ship is going into and departing port. 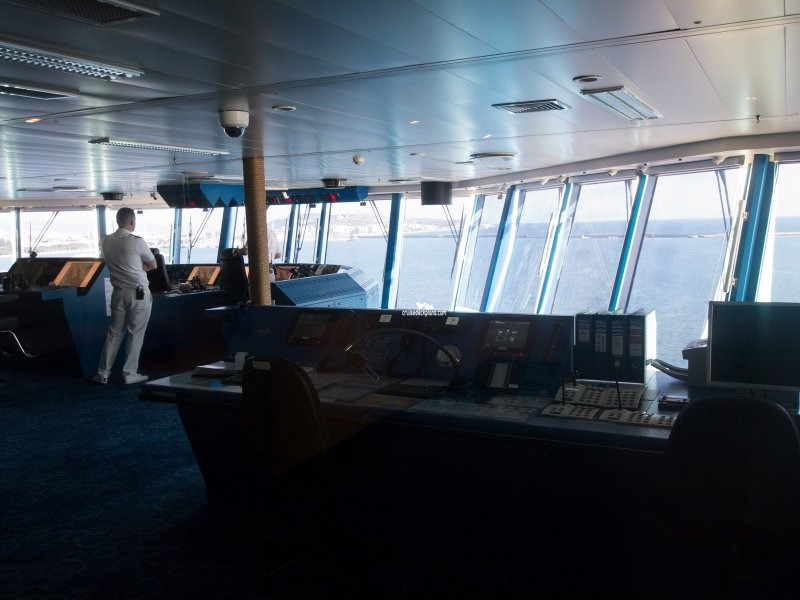 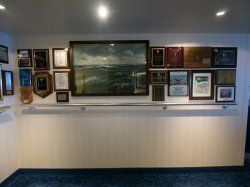 * Except for cabins 13007 and forward on the starboard side plus cabins 13240 to aft on the port side and 13251 to aft on the starboard side, most cabins on the port side and starboard side of the ship will look down on the top of the lifeboats which extend out from the deck 7 below. 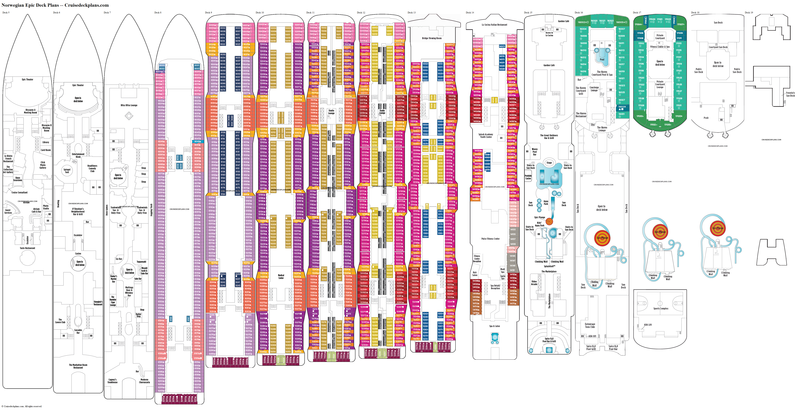 * Cabins 13140 to 13190 on the port side, plus inside cabins 13152 to 13191 are below the fitness center and could experience noise issue from that area. 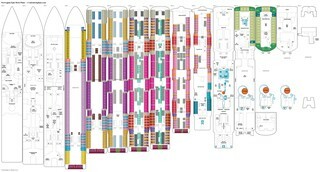 * There is a overhang from the deck above that will shade the balconies of cabins 13150 to 13186 on the port side and 13165 to 13199 on the starboard side.